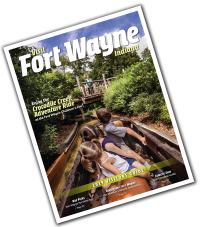 Press Release: Great Lakes Junior Hockey League Chooses Fort Wayne For Their Event! Visit Fort Wayne is happy to announce the booking of a group that definitely knows how to keep things cool. The Great Lakes Junior Hockey League will hold their annual scouting showcase at Fort Wayne’s Lutheran Health Sports Center this December 15-­-18. This new facility is a perfect venue for the event and adds nicely to our competitive sports and tournament offerings for groups like these. GLJHL is made up of 12 teams that spread across Indiana, Michigan, Ohio, Illinois and Wisconsin. Each team is made up of about 25 male players ages 16-­-20. In addition, the showcase offers the players an opportunity to show off their talents to approximately 40 college scouts from around the nation, who will also attend the event. Fort Wayne’s own Federals, coached by Kevin Shupenia, will participate in the cross-­-league competition. Though the team is new to the league, making their season debut last year, Coach Shupenia worked with Visit Fort Wayne’s Josie O’Donnell to show the league why Fort Wayne’s central location and great accommodations would be great for this event.